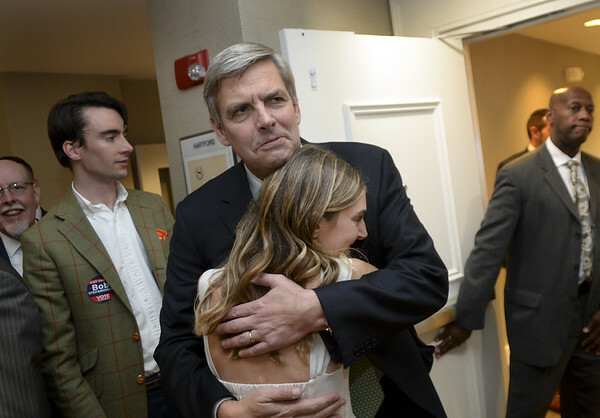 HARTFORD (AP) — Republican Bob Stefanowski has conceded the race for Connecticut’s open governor’s seat to Democrat Ned Lamont following a hotly contested race. Stefanowski announced Wednesday morning he conceded the race to Lamont and Lamont won “fair and square.” The Associated Press has not yet called the race. Unofficial tallies by the Secretary of the State’s Office showed Lamont up by about 18,000 votes. Lamont, a wealthy Greenwich businessman, would succeed Democratic Gov. Dannel P. Malloy, who did not seek a third term. It would be his first electoral win, having previously run for U.S. Senate in 2006 and governor in 2010. Posted in New Britain Herald, , General News, New Britain on Wednesday, 7 November 2018 09:41. Updated: Wednesday, 7 November 2018 09:43.